Think of the last time you had a bad customer experience. You likely had to do at least one of these: choose from a long confusing list of fields on a form, speak to an agent who isn’t prepared to help you, or get redirected and have to repeat yourself. Even with modern tools, collecting, organizing, and processing customer context remains a problem for service teams. Teams often use data fields in software to collect and store information. 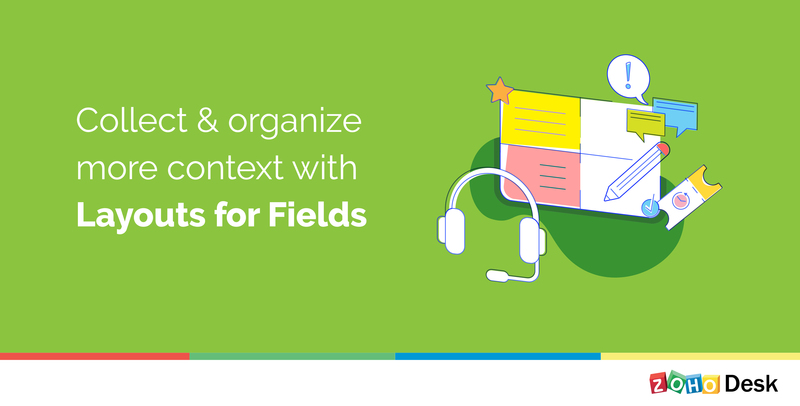 Zoho Desk goes one step further and helps you organize these fields through Layouts. Let’s take the example of an e-commerce company to better illustrate how Layouts can offer better service to your customers. 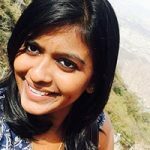 The company sells mobile phones, tablets, and smartwatches and has different customer-facing teams for order fulfilment, returns, and technical support. 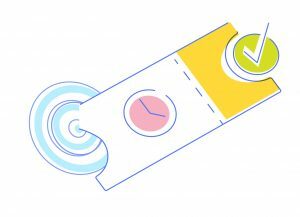 The most common way of managing a customer service process is using the status of a ticket. Each customer-facing function will need to follow its own process. With the help of Layouts, you can use the same field to have different values that serve the purpose of each department. 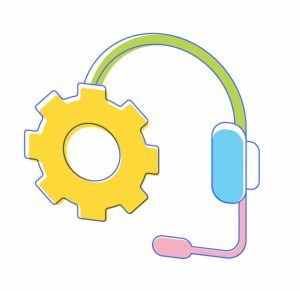 For example, in the Technical Support department, the Ticket Status field can have the custom values Feature Request, Engineering Fix, and Software Fix. In the Returns Departments, the same Status field can have the values Pickups Scheduled, Item Received, and Process Payment. This makes it much easier for each department to have the support process that makes sense for it, and tickets that can go through the relevant process smoothly. 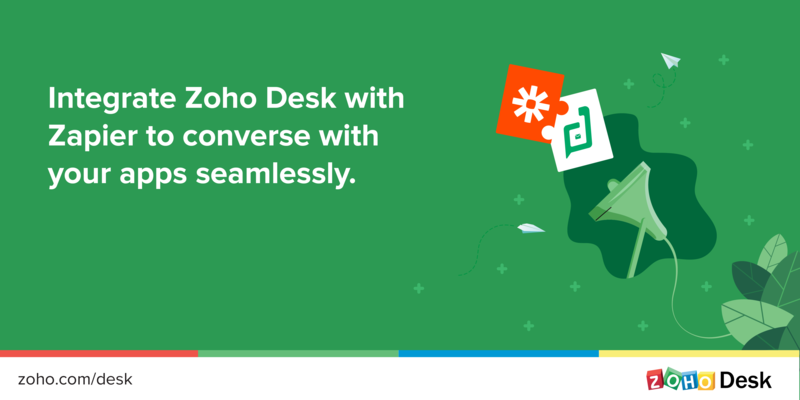 With Zoho Desk, you can assign tickets to agents automatically based on criteria you choose. 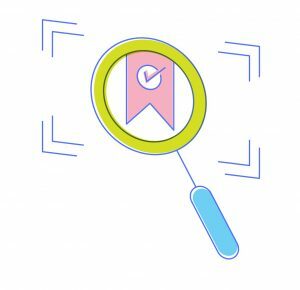 This ensures that your team can respond to each ticket quickly, and that each ticket is assigned to the person with the most appropriate skill set. In the same e-commerce example, you might choose to assign tickets to different teams based on the product category. For example, in the Technical Support department, the ticket would be assigned based on the value of the Category field: Phone, Tablet, and SmartWatch. However, in the Returns department, Category values such as Incorrect Product, Defective Product, and Incorrect Size make more sense for easy ticket assignment. This ensures that while raising a ticket, a customer sees only the appropriate field values. Without Layouts, the same customer would see a long list of field values to choose from, an easy way to create friction. The more contextual information is available about a ticket, the easier it is for your team to help the customer. Layouts help your team identify and collect that information with ticket fields. For example, in the case of a mobile phone, a detail like the IMEI number might be relevant for the Returns department to resolve a ticket, while the Software Version might be relevant for the Technical Support department. 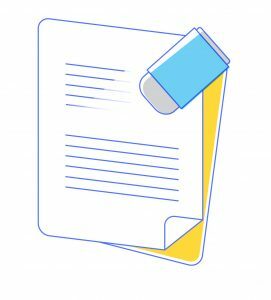 With these department-specific details captured in the ticket, the agents always have access to the information they need to fully understand the problem and act on it. When customers fill out a website form to raise a ticket, it’s important that you ask them only the information you absolutely need. Layouts help you achieve just that. You can maintain a set of fields relevant to each department and avoid having a cluttered form with all fields visible across the department. That way, your customers and agents wouldn’t waste time filling in extra fields or reviewing ones that aren’t relevant to their situation. This reduces friction and paves the way for a good service experience.